IN AN INTERVIEW with Paula Marvelly, Philip Jacobs, resident Sheikh of the London-based The Study Society, discusses Advaita, Sufism and the turning ceremony of the whirling dervishes, and in particular the way in which sacred dance can be a direct means for accessing, and becoming one with, the Divine. The accompanying film, Only Dance, shows the ceremony in action. PM: In your [unpublished] autobiography, The Pathless Path, in the part where you describe when you were a child, I was struck by your response to nature, aesthetics and the visual world; above all, how sensitive you were. Philip Jacobs: At school, I never knew what was really going on most of the time because I am not an academic. But I have always been intensely visual, as you say, so I just responded very intensely to any visual stimulus. In terms of finding a career, the only thing I was really good at was painting so it meant my career direction just had one path to go down, which was an art career. There’s a Joseph Campbell quote, “Follow your bliss.” If you follow your bliss, doors open for you where you didn’t know doors were going to be. And that’s just so totally been my experience. The more life goes on, the more I am just amazed at the precision of it. What an absolutely precise drama it is. Even down to when I lost my farmhouse recently, already this place I am now living in had just become empty, so you learn to trust life’s process. Looking back on life, it has been like that all the way along; the next stepping stone appears just before the last one falls away. PM: What is it about painting that so liberates you? Philip Jacobs: When I am painting, I just get so happy. It’s like when I learnt to meditate. Why I can relate painting to meditating so well is that I become quiet and a great happiness emerges from inside. So having painting as the way I earn my living is a bit like meditating or playing all day for the past thirty-six years. I do textile designs mostly; I used to be design director of a big furnishing fabric company and then in the early 1990s, minimalism came in, so no one really wanted nice chintzy fabrics anymore, so that gradually fell away. I have a friend called Kaffe Fassett; he was a fellow whirling dervish and at the moment, he and I work for Westminster Fibers and we design fabrics, mainly for the patchwork quilting market, chiefly in America but also around the world. I really love that. With furnishings, I was a little limited to what was going to work on a sofa or as a pair of curtains; with this, I can completely let go and have a lovely time. PM: I was recently reading David Lynch’s book, Catching the Big Fish: Meditation, Consciousness and Creativity. He started life off as a painter and then moved into film. Just like what you are saying, Lynch realized that initially, all he wanted to devote his life to was painting; that’s all that mattered to him, and everything else was secondary. Painting was the raison d’être of his life. Lynch also said if you love something, everything will naturally fall into place. But he also said that you have to really love it; you can’t be half-hearted about it. Philip Jacobs: That’s very true. You have to love it and then totally devote yourself to it. Then, as a by-product, the money will follow. PM: That’s also what Lynch said, that you don’t have to worry about the money. But it’s a hell of a leap to trust that the money will follow because so often it doesn’t, which then raises the question, is one devoted enough? Philip Jacobs: The way I see it is that life is an already-constructed movie, so in your movie, it has to be constructed that you will be an artist from the outset. Then you have the love and devotion, and then you work very hard. But when you are working hard at something you love, it doesn’t feel like working, it just feels like playing. So you are having a great time trying to develop lots of different ideas, and in a strange way, you get looked after one way or another. PM: What is your role at The Study Society? Philip Jacobs: My role is to be in charge of the whirling dervishes and the main ceremony, called the mukabele. We also have other activities like drumming groups, music groups and poetry groups, which are under the umbrella of the dervishes. Lots of young people are starting to come into the classes and be a part of the group, and as a by-product they start to access their true Being. PM: In Sufism, is the turning a very specific aspect of the teaching? Philip Jacobs: Sufism is the mystical branch of Islam, within which there are lots of different dervish orders. The particular one we are connected with is called the Mevlevi Order of Dervishes, founded by the great Persian poet and mystic, Jalallu’ddin Rumi, in the thirteenth century. He spontaneously went into a whirling dance; his immediate family then formalized it into the ceremony, the mukabele, which means “coming face to face” and which has been preserved right down to the present day. In 1925, the then ruler of Turkey, Kemal Atatürk, wanted to modernize Turkey and thus he wanted to ban all dervish orders, all fortune tellers, anything which he felt was holding Turkey back from being a modern Western nation. So all the poor dervishes had suddenly to go underground because they could be imprisoned if they turned in public. In the late 50s, turning was starting to be allowed again, but only as a government-run tourist attraction. Some of our older Colet House members were invited out to one of the ceremonies in Konya, Turkey, and they caught the eye of a Sheikh, Resuhi Baykara, who was presiding over the ceremony. They invited him back to come and teach the turning in London; he went and asked the head of his tradition, who said to him, yes, you must go. So in 1963, he came over and taught the ceremony; he wanted us to keep it exactly as it had always been taught and practised in Turkey. What was happening with the tourist-attraction dervishes was that they were changing it and doing different music, using strange-coloured robes, and cutting bits out to make it more appealing. PM: What is the point of the turning? Philip Jacobs: The technique for the Mevlevi turning we teach is very precise. The learning of it is probably the most physically demanding thing anyone ever does in their lifetime; they say it is comparable to childbirth, so I am told. It is very difficult. It is very demanding physically and very demanding emotionally. When people come along to do it, we interview them first and see if they are suitable; we also do a medical questionnaire. It’s amazing to watch people in the process. The whole technique is about opening the heart but before that happens something must take place; there is a dervish phrase, bash kasmak, which means “chopping off the head”. During the process of training and the ceremony, the rational discursive mind gradually starts to fall off and you can actually see this happening to people. Some people struggle against it but when it happens, they start to look physically younger, and in particular, ladies become more beautiful. It’s like a falling in love process that happens. It doesn’t happen to everyone in the training; for some, it takes a long time and they have to do it for several years before it happens. But for many people, you see it happen during the process of the training. That’s why people do it; it’s such a direct route for accessing the great stillness that is your true nature. With the turning, there is so much to attend to within the movement, there’s no room for any sort of random thoughts; you can’t turn and think random thoughts. When you bow into the turning room, the bowing is called bash kasmak; that’s when your head is chopped off. Because it is so difficult to get through the whole ceremony, you have to completely surrender and let go of the sense of your separate self being the doer. The journey of the ceremony is like life; to get through it, you have to hand over to something much larger than yourself. Because of the one-pointed attention, all your daily life completely falls away. I have turned for thirty-six years. I have been through a number of major romantic traumas during that time! I remember on one of the worst days of my life after a romantic trauma, I went and turned and at the end of the ceremony, I was just so happy. I knew I was having a terrible time but I could see it was down there somewhere, and that’s why I love it. PM: Is the turning like meditation in that it builds up a residue of stillness? Philip Jacobs: Yes, it builds up an accumulative energy. In Sanskrit, it’s called sattva, the energy of being, which gradually permeates you. With the dervishes, after a good mukabele, you have a beingness that is palpable afterwards for many days. If you do it on a regular basis, it’s almost like the beingness becomes your background. It’s not really giving you anything new; rather, it is showing you what was there already but you were looking for something else. Philip Jacobs: Rumi had been an academic philosopher and was ripe for meeting the great mystic, Shams of Tabriz. When they met, it was described as the meeting of two oceans, which is a metaphor I rather like. That’s when Rumi’s heart opened and he “found” himself. Shams was supposedly murdered by Rumi’s followers; Rumi became totally distraught and this is when all the poetry flowed out of him, in the Mathnavi and the Diwan-e Shams-e Tabrizi. 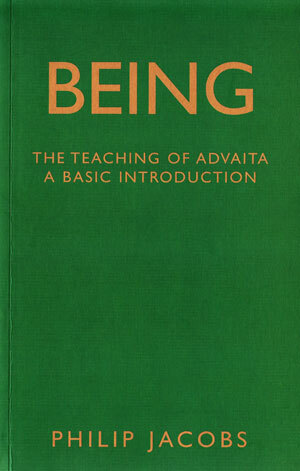 The actual teaching contained within them is identical to Advaita; it’s a nondual teaching with a very strong heart emphasis. PM: So essentially, there is no difference between Advaita and Sufism. Philip Jacobs: There is no difference. PM: Traditional Advaita people would say they are not the same! Philip Jacobs: They are the same. They are “not two”. When I give talks, I slip in and out of Advaita metaphors and Rumi metaphors; they fit together so well and they are both saying exactly the same thing. PM: Rumi has become over glamorized, I feel. Apparently, he is the most published poet in the West, outstripping any other poet, even Shakespeare. But his poetry is often used in a romantic context, when it’s not really talking about that at all. Philip Jacobs: That’s right, it’s not. Coleman Barks, the American poet, does his own renditions of Rumi, which are absolutely beautiful but they are often little cross sections of Rumi’s work. He often absorbs a poem and then retells it in his own way. It’s his translations that have led to Rumi becoming the most popular poet. In Persia, they absolutely adore Rumi. In the last couple of years, we have been attracting lots of Persians from the London Persian community; we have our own Farsi version of the Mathnavi group that meets at Colet House on Tuesdays. We also had a big Rumi celebration festival recently; we had poetry in the morning and then all afternoon, we had Persian musicians playing their music to drumming and turning. Essentially, the teaching is that you have a temporal identity in time and then there is your inner identity, which is often referred to as the heart. At first, it appears that our heart is the still centre inside of us; in the training, at first, what normally happens is that the pain body, as Eckhart Tolle refers to it, comes to the surface. You can see that; people start crying, get angry, and so on. That’s all fine, you just have to let that pass. The pain body then starts to dissolve away, rather like sediment rising, and people start to access what they call the heart, the stillness, which lies behind the psyche and the thoughts and feelings. When that happens, people start to look visibly younger, they soften, and the falling in love process happens. That’s stage one. Stage two is when you discover that the heart isn’t just inside you. Everything you perceive is in the heart and you start noticing that everything you are experiencing and everything you are perceiving is actually taking place within this still centre. PM: I guess that’s why people love to go dancing in whatever form it may take because that kind of movement means you are effectively renouncing your mind. Philip Jacobs: Yes. There are so many things that people do, like extreme sports, where you get taken to the edge of yourself, like mountaineering, for example, which is all about re-accessing this underlying stillness. 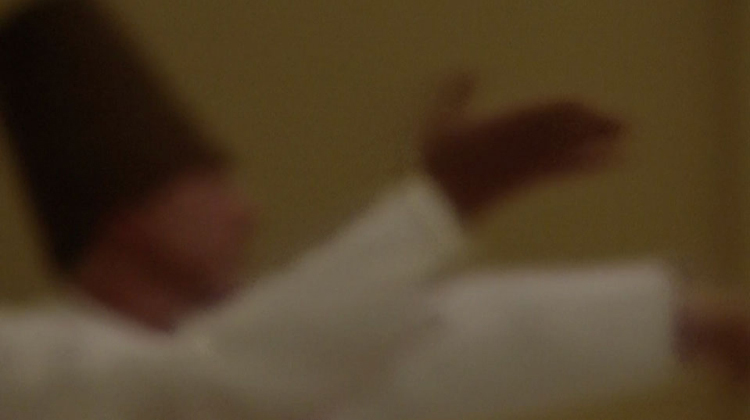 With the dervish ceremony, the whole of the teaching is symbolically embedded in the ceremony, so it’s like a metaphor. It’s very lovely. PM: Could you describe the process of the ceremony? Philip Jacobs: In brief, the dervishes come in, bow into the room, which means letting go of the identity, “I am something”, reacting with a separate, external world. Then they listen to a song called a naat, which is about the prophet Mohammed and the Sufi tradition; then they listen to another song that is played on a reed flute, a ney, called a taksim, which is symbolic of the soul longing for its origins, the unity state. After that, the dervishes all beat the floor simultaneously and that means, “Wake up and be kun!” So that’s like you have come out of an identity, which is the temporal self, and you’re just identifying with beingness. Then the Sheikh leads the dervishes on three processions around the room. The first round of processing represents knowledge gained by reading, which means knowledge from books; the second round is knowledge gained from seeing; and the third round is knowledge gained from living in the reality that is this. So an analogy of this would be: the first round is reading about London; the second round is visiting London; and the third round is actually coming to live in London. 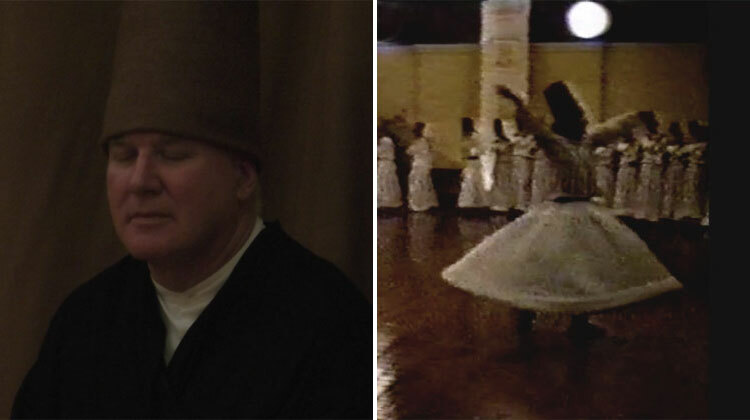 Then after the procession, the dervishes throw off their black cloaks under which they have long white robes, and they begin to turn out into the room. There are four salams or four periods of turning. The first period is called sheriat, which means “on the skin” and represents religion, ordinary conventional external religion, and is what in Islam they call sharia law. Just like in Christianity, for example, we have rules of conduct, virgin births and mythical things like that. The second round of processing is called “finding the way” or tariqat; in other words, starting on a path or a way. Once we get sick of the cycle of pleasure and pain, we start to look inside ourselves, in order to access the sense of presence behind the thoughts and feelings, and thus start learning a method like meditation or turning. The third salam is called finding reality or haqiqat, also referred to as surrender or annihilation in the beloved. The third salam is a very long salam; because it is such a difficult technique, you realize that you can’t get through it on your own effort, so you have to give over and surrender. During the third salam, your sense of separation gets burned in the fire and to survive, you have to let go and trust that you are going to be carried by something much larger than yourself. In the fourth salam called marifa, which means “self knowledge”, the dervishes simply return to where they were at the end of the third salam and turn on one place. That’s called finding reality for and in oneself. The reason why a dervish no longer moves around the room is because they have realized that what they were looking for isn’t outside of them; it’s inside of them. So it’s realizing that there is nowhere else to search; that they are already it. The journey is over. Up to this point, the Sheikh has been on the periphery, standing on the red carpet or skin, observing the first three salams. It’s as if the dervishes represent the manifest universe in time and space and the Sheikh represents the great stillness that underlies the manifest universe. In the Indian Sankya tradition, they call this purusha and prakriti: the Sheikh is purusha and the manifest universe is prakriti. Then in the fourth salam, the Sheikh ceases to be the witness and comes out and turns into the centre of the circle with the dervishes; this symbolizes the fact that the underlying stillness and the manifest universe are not two. So not only is the universe a manifestation of consciousness, it is also the very substance of consciousness. The great stillness and the manifestation are one and the same thing. So full nondualism is symbolized by the Sheikh coming out along with all the dervishes, turning on one place. When that ends, the dervishes have their robes put back on. There are more prayers and then everyone files back out again. So you go off back into life but with this great secret inside you. PM: There’s a Bollywood film called Jodhaa Akbar about a Muslim king who marries a Hindu princess, which is loosely based on a true story. There’s a wonderful Sufi turning dance in the middle of the film, which is absolutely beautiful. The turning is hypnotic and sensual, without being too provocative or sexual. It couldn’t be more perfect. Philip Jacobs: “It couldn’t be more perfect.” That’s such a good explanation. The whole Sufi turning just can’t be added to. That’s why we are asked to preserve it and now I understand why. PM: Are you the Sheikh? Philip Jacobs: Yes, I play the role of the Sheikh for all the dervishes at Colet House. It’s such a lovely thing to do. All I really do is stand on the skin and love the dervishes as they go past, and I am very happy doing that. Paula Marvelly, Philip Jacobs and the Whirling Dervishes at The Study Society. PM: Could you expand a little on the teaching of nondualism in terms of how it relates to the sense of “I” and the “levels” of consciousness? Philip Jacobs: Nondualism is very hard to explain in rational language because it is a model of experience. What it implies it that everything is part of one whole, there’s just one thing. In dualistic philosophies, you get two things: God and man; good and evil; and a whole variety of dualities. With nondualism, everything is perceived as a manifestation of one being. And it’s not even correct to say it is a manifestation of one being, it’s more that everything is the very substance of consciousness. There’s just consciousness and everything is that consciousness. There are various metaphorical ways of approaching this: one is the model of four levels. 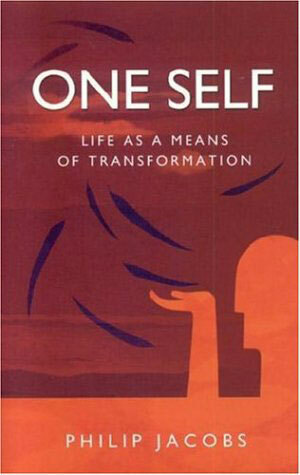 Most nondual traditions have the concept of the one Self, manifesting as a creation through a series of levels. At the end of the day, all you need to understand is that there is just one thing and everything is that thing; but for some people, on the way to understanding that, it is quite useful to have consciousness manifesting through a series of levels. According to the science of psychology, when you are a little baby, you normally experience yourself as not separate from everything around you. The baby doesn’t differentiate itself from its siblings and parents, and everything that goes on around it. In one sense this is your natural state. As you grow up, you learn that you are separate; you learn that you have a physical body and it ends where it ends and everything outside of that is other or separate. So you learn to differentiate yourself from your siblings and parents and gradually understand that you have a name and that other things have names as well. You start to experience yourself as a separate ego in a world of multiplicity, and that’s very necessary for relating to other people in the world of manifestation and the world of the drama. You have to have a healthy sense of being a separate self and that’s very important. So the first stage I would call, “I am everything”. The second stage I refer to as, “I am something”. You are now starting to experience yourself as a separate self, a separate ego. The plus side is that you can relate to other apparent separate selves and the drama of life goes on; the down side of that is you start to experience a cycle of both pleasure and pain. So when the world goes in a way that appeals to you, then you are very happy. When things don’t go your particular way, then you are very unhappy. And yet this cycle goes on. Normally in most people’s lives, at a certain point, you get a bit fed up with the cycle of pleasure and pain and you want to try and find something that you feel exists and lies beyond both pleasure and pain. If you are observant, what you will see that when you are five years old and when you are fifty-five years old, although your physical body, subtle body and psyche go through many changes, there’s something which is looking out through your eyes that witnesses all these changes, and this thing never changes at all. It doesn’t grow old, it’s not subject to suffering, it’s not subject to pleasure. Like a mirror, it witnesses without comment what’s going on in the passing show of your life. When you notice that, you often get attracted to methods like meditation, yoga, t’ai chi, dervish turning, and so on, because it’s this sense that something is missing and yet that missing thing is actually inside you. In fact, when you do start to look inside and see what lies behind your eyes, it can almost come as a bit of a shock. It’s like what you discover is that there is nothing there at all; it’s as if there’s a great emptiness that’s lying behind your psyche and body-mind. In Buddhism, they refer to this as sunyata, or voidness, and in some Buddhist schools, they stop at this point that ultimate reality is sunyata; I’ve noticed that some of the contemporary Advaita teachers also stop at this point of nothingness as well. That’s a bit of a limitation because it can lead to a nihilistic view of the world, that nothing has any purpose, there’s no point to anything, and it all can be quite bleak. But that’s not the end of the story because beyond that, is the unity experience of “I am everything” and you discover that there is a presence that sits behind your psyche. That background state is deep stillness. It’s not something new; it is something that was there right from the beginning. Rather than identifying with the mind-body vehicle, “I am something”, you now suddenly notice that what you are is this still identity that lies behind that. At this point, although it’s a very nice place to be, it’s as if your background identity is the great stillness of deep sleep and you are looking out on the external world as an impartial observer or witness. The limitation of that is that there is still a subtle subject-object duality. What happens next is that you notice that everything that you experience, every sensation you perceive, is all taking place within this presence, within this still identity. At this point, you then notice that there isn’t an external world at all but that in reality, everything is taking place within you. When you are a baby, “I am everything” wasn’t an empathic experience; it wasn’t an experience that took into account all the feelings of everyone around you. With the rediscovered sense of “I am everything”, it’s a fully empathic experience. Everyone else is included within that. So it’s as if you have gone on a circular journey. Philip Jacobs: Rumi in the Mathnavi tells a story about a man who lives in Baghdad who keeps dreaming about a great treasure in a particular house in Cairo. He dreams about it so often, he sets off on a journey to Cairo and he has many troubles and adventures along the way. Eventually he finds himself in Cairo and he is wandering around looking for the house he’s dreamt about so much. Then he meets a man on the street and he tells him about his dream. The man from Cairo says, “Well, that’s rather strange because I keep dreaming about a particular house in Baghdad, which also has a great treasure hidden in it.” He describes the house and the man from Baghdad realizes that it’s his own house. So he goes back home and digs in the cellar and finds the great treasure. What this story illustrates for me is that you are already the one consciousness, you already are the unified state but you have to go off and say “yes” to the great adventure of life. In a metaphorical way, you have to leave who you think you are, and via a strange route, you come back and rediscover that principle of unity in a much fuller way. That same story appears in multiple different traditions. In the Gospels, it’s very clearly the story of the Prodigal Son who goes off and squanders his inheritance, and then at a certain point he comes unto himself and starts the return journey. In the turning ceremony, the mukabele, we turn on a circular floor, or semahane, and that represents the exact same thing. Initially, when the Sheikh leads the processing in the first half of the circle, it represents the outflow of one to many; so in other words, it’s the one consciousness, the one mind, manifesting itself as a creation of multiplicity. And then, when you pass the centre line of the circle, that’s called the return to source, and that’s the many going back into the oneness. In Buddhism they call this process wisdom and compassion, because wisdom is the inward journey, which is using the discriminative mind to return to its source. Once you realize that everything is part of one whole and everything exists within you, compassion naturally arises, which is effectively like the outflowing back into multiplicity. These stages we have been discussing can be related to as four levels: the physical level; the subtle level; the causal level; and the divine level. The physical world on the big scale is the physical universe, consisting two hundred billion galaxies, which is an infinite unlimited world. On the individual level, it’s the physical body of flesh and bones. It can all be weighed and measured by science and normally it is our basic sense of self or our basic sense of identity. The physical level is contained within the subtle level, though subtle really translates as psychological. On the individual scale, it is the world of your psyche; all your thoughts, feelings, and sensations take place within your psyche. It’s a private world and no one knows what’s going on there except for you yourself; though of course, it can be expressed through the physical. So when you are very angry, for example, you go red and shake and it’s visible on your physical body! In terms of states of consciousness, the physical level is your daytime waking state; the subtle level is sleep with dreams. So when you go to sleep at night, your physical body settles down and then you enter a world of images and little dramas, which go on within your psyche. According to this tradition, both the physical and subtle levels are contained within the causal world. The causal is like the great stillness that lies behind your physical and subtle body. When you look behind your psyche, you get a sense there is a great emptiness, a great stillness. In terms of states of consciousness, it equates with deep sleep. It’s totally timeless, there’s no experience. When you are in dreamless sleep and then you go into deep sleep, from the moment of going in to the moment of coming out is totally instantaneous. As there’s no experience, no time, you could be a dinosaur who fell asleep a hundred and sixty-five million years ago and went into a deep sleep who then wakes up today, and it would be as if you had dropped off a minute ago. Deep sleep is also the realm of deep meditation, when the thinking and feeling processes are transcended and just for a split second, you go beyond into the realm of stillness. A split second at the causal level can set you up for several weeks just in terms of what you experience from it. This is not quite the end of the story, however; all these levels—physical, subtle, causal—are enclosed within the divine level, but the divine isn’t really a level, it’s simply the whole thing and is also sometimes referred to as the ground of all being. So the divine level is the one mind, the one consciousness, which is also the same thing as who you are. You have only mistakenly identified with the physical and subtle, the mind-body mechanism, as the basis of the sense of “I”. If you go back in the chain of causality, you can go through deeper and deeper levels. One of the ways in which I find it useful for looking at this is to look at it from “bottom up” and “top down”. In nondual traditions, particularly Buddhism, they have what they call absolute and relative knowledge. Relative knowledge relates to the bottom-up view; so from the bottom up, which is the view of Reductionist science, you’re a physical body in this vast physical universe, which is all running to the laws of physics. Many exoteric traditions are very much bottom up; consciousness is seen as a remote goal that you achieve only after years and years of intense work. It’s like you are gradually climbing up a metaphorical ladder, through all the different levels to reach it. Top down or what they refer to as absolute knowledge is looking at it from the point of the one consciousness. From this point of view, it is devastatingly different because it is as if you are the one mind in which the physical universe appears and disappears. From the bottom-up point of view, you are only the physical body that appears and disappears, it goes to sleep and then wakes up again; but from the top-down point of view, you are already that basic identity that existed when you were five and exists when you’re fifty-five. You are already that, you are consciousness. If we combine the top-down approach with the levels of consciousness, at the causal level, there’s no experience, no images on the screen of consciousness; it’s consciousness at rest. It is sometimes also called objectless consciousness. Then at a certain point, dream images appear on the screen. This is the subtle level. So when you are dreaming during sleep at night, images appear but they are not as solid and consistent as daytime images; and yet they can still be quite compelling. When you are dreaming, you are a character in the dream and you’re also the creator of the dream; you create a whole dream world and you also create yourself as a character relating to other characters in the dream. When you wake up in the morning, in terms of this model, on the physical level you are still the dreamer creating the dream. But now, the images on the screen are like they are at the moment—more solid and consistent than they were in the dream at night. From the point of view of this teaching, you are still the dreamer who is dreaming this whole massive physical universe and you are also dreaming yourself as a character within it. Every one of us is doing the same thing, so it’s as if the one mind is dreaming this massive physical universe, as well as dreaming all these different characters from all these multiple different perspectives. I have always found that to be a rather awe-inspiring idea! In the nondual traditions, you don’t remain at the superficial level. In Advaita, they refer to this process of going back in the causal chain as viveka or discrimination. In Buddhism, it is referred to as prajna, which is discriminative wisdom. So it’s the ability to see beyond the world of appearances and go to the ultimate cause, which is itself causeless. This is a superb example of viveka and prajna; the ability not to be like the ants and stop short of the ultimate causality, but rather going back and back until you come to that which is the causeless cause. You can do this quite easily if you are a creative artist or a writer, for example; it’s very much like your ideas are nothing to do with you. When you are full of inspiration, ideas just suddenly appear in front of you, and you look at them and think they’re rather good! Where did they come from? On one level, it’s like everything is passing through you as a vehicle of consciousness. What happens in my experience with various practices like meditation, yoga and dervish turning is that this vehicle, specifically at the subtle and causal levels, becomes transparent. Rumi often uses the analogy of the mirror and polishing the surface of the mirror. From my perspective, all of life, including all the various things that have happened, are all a part of this process of becoming transparent. Sometimes you just have it for moments, but it’s as if you don’t exist, you’re just the vehicle for something flowing through you. In reality, this is how it is all the time. In fact, consciousness isn’t only just flowing through you; you and everything else are the very substance of consciousness.